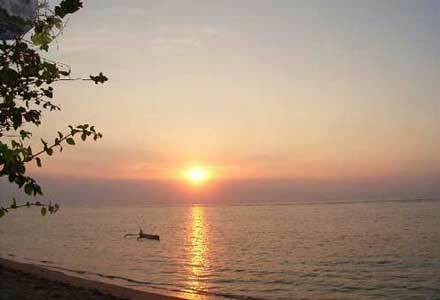 Bali Island has many interesting natural tourism. Two popular natural tourism destination in Bali are Bedugul area and Kintamani area (Mount and Lake of Batur). Bedugul bali located in Tabanan district, 70 km from Ngurah Rai international airport or about 50 km from Denpasar city. This natural object offers the beauty of lake and mountain scenery. To reach Bedugul, visitors has to through a quite steep road but it worth doing since from this road, visitor might be able to see beautiful natural scenery full of trees. Bedugul is a tourist area, located between the mountains with an altitude of 1200-1450 m above sea level. The tourists is very crowded during school holidays and could reach 5,000 people per day, while between 200-500 people in ordinary day. Bedugul offers two main tourism objects: Beratan Lake with its Ulun Danu temple, and Bedugul botanical garden. Beratan Lake is one of beautiful lakes in Bali Island. To enjoy the natural view, visitors could rent a boat or a small wooden boat. This place fits for those who want to have honeymoon. Beratan Lake located in Candikuning village, in Baturiti sub district. Another uniqueness owned by Beratan lake is the existence of a temple in the middle of the lake. 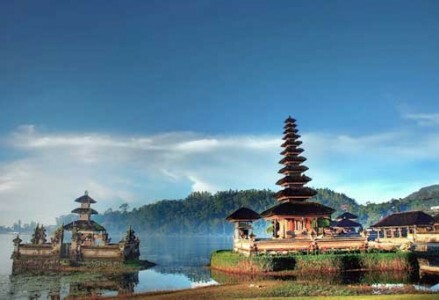 This temple is called Ulun Danu temple. The temple is a worship centre to Sang Hyang Dewi Danu so he always blesses fertility. 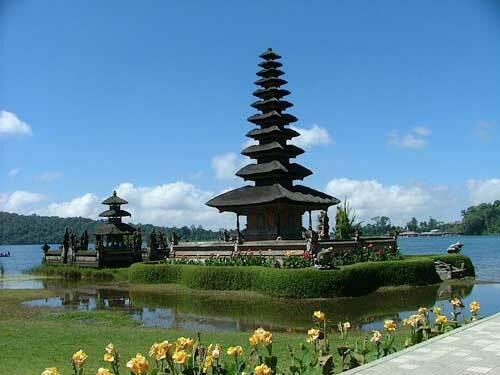 Ulun Danu temple was built at the beginning of the 17th century. The atmosphere around Ulun Danu temple is very beautiful and quiet, with a foggy mountain as its background. On everyday, especially during the Piodalan ceremony, Balinese Hindus from all over island are coming to this temple. At Piodalan ceremony, there are variety of young animals and offerings sacrifices into the lake. These animal sacrifices is for the Goddess of Ulun Danu, which is believed to give prosperity to the people of Bali through the farm. Entrance fees to the Beratan Lake also Ulun Danu temple is around IDR 2,500 until IDR 10,000 at high season. 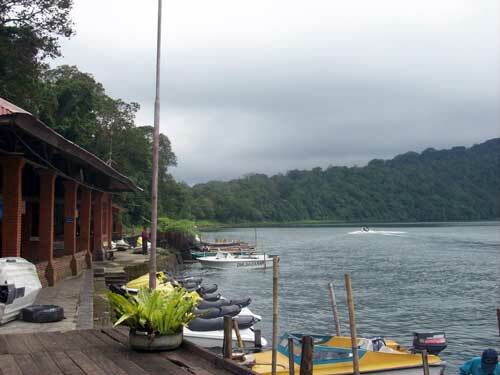 This tourist area is equipped with some water sport activites, such as speed boat, parasailing, and jet-ski with rates from IDR 20,000 for the speed boat to IDR 100,000 for parasailing. You can also meet with some amateur painters that offer his services to paint yourself with IDR 150,000 cost per painting. 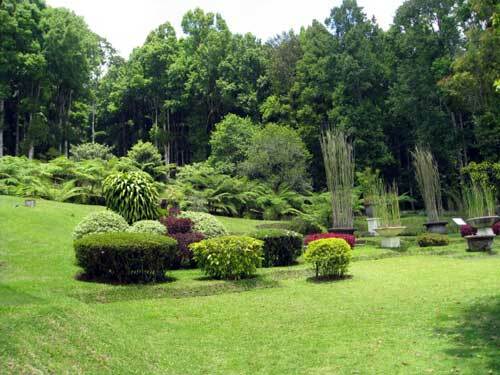 The second natural tourism is Eka Karya Botanical Garden, or commonly called Bedugul botanical garden. 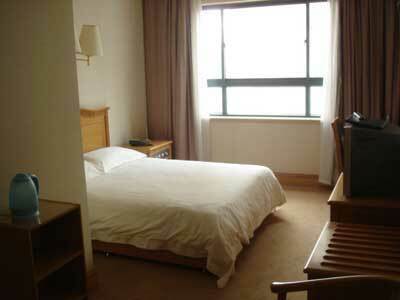 In this place, visitors could annul for a while their tired and exhaust due to daily routines. 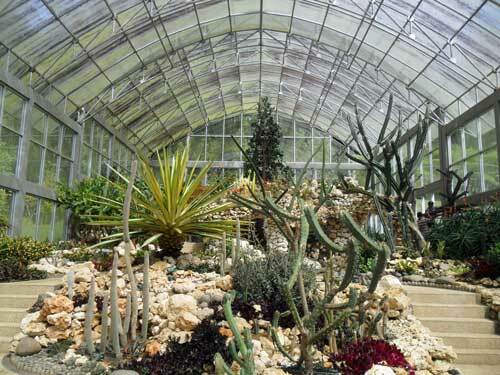 With 155 hectares area, Bedugul botanical garden has a collection of plants from various countries. There are 3230 species of orchids, various of cactus plants and Cyathea, which is a kind of hairy and spiny palms that are native plants in Bali Bedugul. Eka Karya Botanical Garden also has a rose and flower garden, a collection of traditional medicinal plants, and various plants for ceremonial and religious activities. Rug of green scenery is eyed-chilling. The shady trees, the happy atmosphere when playing with family members could really amusing. In this garden, visitors can find flower and decoration plants garden that can be used to play with their children. This garden was built in 1959 which firstly purposed only for decoration plant garden. If visitors have plenty of time, they can spend the nights in many affordable Bedugul hotels and home stays which can be found along the lake and the botanical garden. 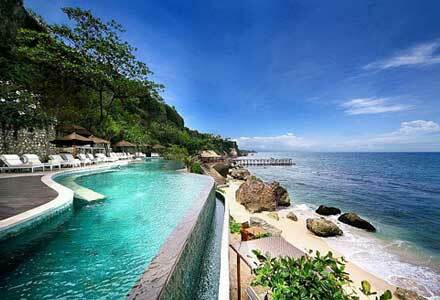 Click here to find and books some best hotels around Bedugul Bali. What’s up to all, how is everything, I think every one is getting more from this site, and your views are nice in support of new visitors.